Hey I'm serious I'll take that 128 system off your hands. I will pay you decently. Contact me (Sid) at my email addy (sidswlan@gmail.com) if you are interested. A computer is only as obsolete as it "isn't" used, after all. I can assure you that it will have a very good home with me, if you decide to sell it, and I can be generous. Otherwise it was fun releasing the software, and knowing that it was programmed for any situation (for the poor or rich alike) made me feel like I did something perhaps the way Bil Herd or one of his contemporaries at CBM would have wanted it to be if they had released it on one of their demo-disks. Because first of all, things have to WORK. After that, it becomes a question of how compatible you write your software. Like, never use low-level routines in programs that someone else may try to use with an incompatible drive or cartridge. That means always use the kernel jump table; typical routines like BASEOUT and CHROUT are routines that work with almost every and any type of drive and are therefore highly recommended over low level ones like TALK, UNTALK, etc. All those routines are documented in the C128 programmer's reference guide. This is a tip on how to reset to REC easier (or at least a little more elegantly). That last note was for when you need to disable RAMDOS before backing up or restoring the 1750 but there is an even more elegant way to do this. It involves a little timing, a little finger magic and you must press the RESET to initiate all this. Okay you need to bail from RAMDOS. Press the RESET button, wait a second and hit the STOP key (ESC in X128). If you timed everything right you will see a blank screen with "BREAK IN 0" written on it. And that was all you need, now you can back up or restore as needed. of the operating system is initialized. CRT files are those apps and stuff that manipulate what the C64 does when it boots - mimicking a C64 cartridge. First, the code to be changed exists at $8000 to $8009. This is a memory HEADER marker that the C64 OS looks for. If the PETASCII text "CBM80* exists from $8003 to $8008, the C64 will automatically jump to the address stored within $8000/$8002- the other remaining vector is used to point to a customized RUN/STOP and RESTORE vector. This helps mostly when the file you want to boot is binary and will not start with RUN. DOSEDIT should be able to provide at least a half-solution to this, as a separate basic editor is also needed. Talk about being late to the game. First of all, I didn't know that WSDOS even existed until a few weeks ago. I stumbled across it on the GENie software repository and instantly was amazed by it. Then, I just discovered this thread about WSDOS on the 128 forum, started by Sid Davis, the developer of WSDOS. Fantastic! I'm going to take some time and play with this latest version. Thanks, Sid, for the update to this great utility! 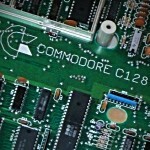 Commodore.Software has a copy of V7.1 here. ruining my life, and that's why if anyone really wants to know. I don't play well with the public, that's all.